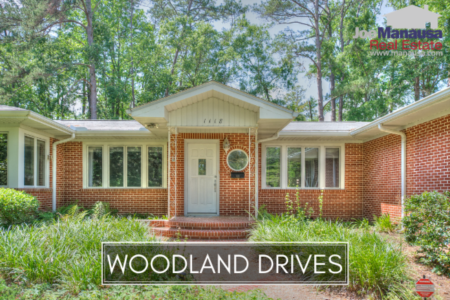 Woodland Drives is a special neighborhood in downtown Tallahassee, filled with some of the oldest homes in the area. It features large yards with mature landscaping and is within walking distance of the Florida Capitol building (and shopping, night life, and the entire downtown too). The following map and list of homes are the most recent listings in Woodland Drives. 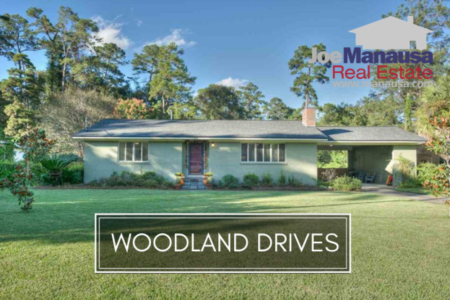 This list is updated every 15 minutes, so you can be assured that this page will always bring you the most up-to-date listings and sales that can be found for Woodland Drives (bookmark this page if this is an area that you want to track). Fewer homes will sell in Woodland Drives in 2016 than in any of the past four years, but it's not due to low demand! Only two homes are on the market right now, and one is already under contract. If this sounds like your kind of neighborhood, you should know that Woodland Drives is not a neighborhood where properly priced homes hang around very long. 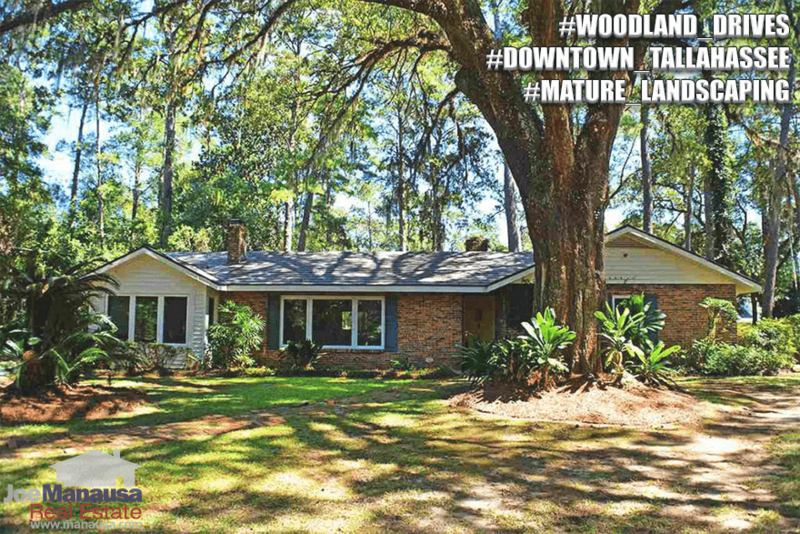 In this report, we will review home price trends, home value trends, and home size trends in Woodland Drives, as well as all current listings in the Tallahassee MLS and all closed home sales going back to 1991. For the three real estate graphs contained within, you will find the number of closed home sales for each year (red columns, measured on the left vertical axis), and an important real estate statistic shown in blue (measured on the right vertical axis). It is important to note that the narrative contained below is for sales through December for all previous years, but through the first half of December in 2016. The graphs and the closed sales table will be continuously updated into the future (meaning bookmark this page if you always want to know the current status of homes in the Woodland Drives). Average home prices have fallen this year to $187,275. This has nothing to do with appreciation or depreciation, rather it's more a reflection of smaller homes selling. Thus far In 2016, there have been 11 closed home sales in Woodland Drives, meaning 40% fewer home sales than in each of the previous four years. Fortunately for homeowners, the homes that did enter the market all sold, so I believe the pent-up supply issues from the housing market collapse has been nearly exhausted and as values move higher we'll see the final trapped sellers emerge. Average home values in Woodland Drives have fallen for the first time in the past three years, primarily due to 2 distressed home sales that have closed. The average value for homes sold this year has been $105 per square foot, which is 28% higher than what we saw at the market bottom in 2011. Of course, current values remain about 23% lower than what was recorded at the peak of the market in 2007, so we still have some homeowners who owe more on their homes than the homes are worth. This should all clear up in the next two years. The average home size sold in Woodland Drives typically falls in a range of 1,600 to 2,200 square feet, and this year's home sales have fallen right in the middle of this range. The 11 sales in 2016 have averaged 1,786 square feet. The following list shows home sales in Woodland Drives going back to 1991. I hope you enjoyed our December 2016 update on home sales in Woodland Drives, please feel free to drop me a note if you have questions not covered in this report. Do Leon County School Grades Influence Home Buyer Decision Making?